The Winnipeg Police Service is sending out the message that 911 is for emergencies only while sharing snippets of transcripts from actual nuisance calls to the system. “‘I just want to know the status of my Peggo card?’ That’s a good one,” said Stacey Cann, supervisor of communication for the Winnipeg Police Service, reading one quote from a call aloud. “‘I just wanted to ask a question about the Brady dump, how late is it open till,’” she said, reading text of another call. 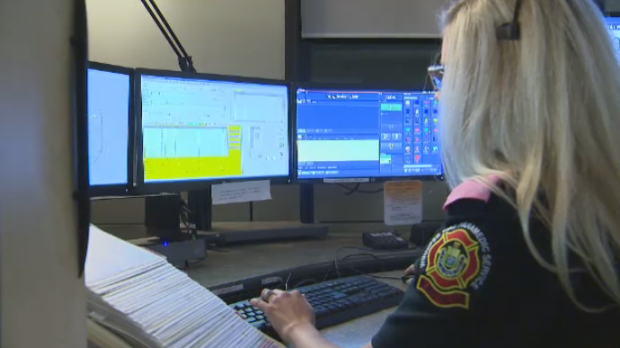 The City of Winnipeg says in 2018, 911 operators answered around a half a million calls. Police said that works out to an average of around 1,300 a day, including the nuisance calls. Cann says in spite of the frivolous nature of some calls, operators have to approach each one the same way. “You really have to take each call at face value as it comes in,” she said. Cann says sometimes nuisance calls are the result of an accident, and how easy it is to access 911 is one of the top reasons they’re made. “Part of it is lack of education for some people and there could be not understanding where they could be directed to,” she said. Police told CTV News nuisance calls are dealt with on a case-by-case basis, and they could lead to criminal charges. Anyone who needs assistance in a non-emergency situation can contact the Winnipeg Police Service’s non-emergency line at 204-986-6222.